Experts from the government's own think tank believe that continuing the status quo in the Russian government will only result in chaos. Every pre-election year has its own style. This time around, an atmosphere of imminent apocalypse has taken root. A large number of expert reports issued in recent weeks paints a gloomy picture of a political abyss into which Russia is about to plunge headfirst. The Center for Strategic Research (CSR) has offered the worst-case scenario in a report entitled “Political crisis in Russia and the feasible ways of its development.” The main idea of the report is that Russia will face another period of turmoil like that of the late 1980s–early 1990s unless the political hierarchy cherished by the Putin-Medvedev tandem is dismantled, and the tandem itself steps down, like Boris Yeltsin did on Dec. 31,1999. But is this apocalyptic scenario realistic? To begin with, the authors of the report offer extremely negative assessments of the chances of either Dmitry Medvedev or Vladimir Putin being actually elected in a free and fair vote. 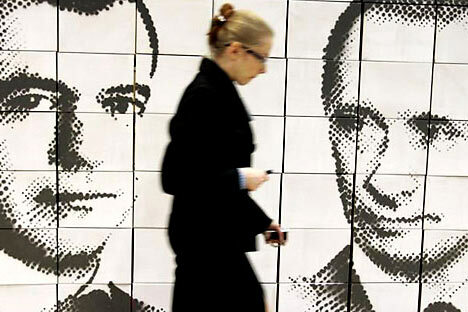 “Medvedev’s campaign is a mere formality, a shadow of Hamlet’s father... I can’t imagine anyone voting for him,” the report quoted a 43-year-old woman from Samara saying in March. And this may be the least offensive opinion quoted in the document. Putin was not spared either. “Certainly, the situation became stable with Putin, things began to improve. Unlike under Gorbachev and Yeltsin, when strikes and unrest took place, when people revolted and staged revolutions, everything is calm now, leaders are stealing quietly, and the masses are silent, but there’s stability. This is what frightens me the most. Because this bubble might burst,” said a middle-aged man from Yekaterinburg, also in March. In short, the authors are saying that people are tired of the tandem, regardless of which one of them gets to run for president. The experts conclude that if things remain as they are, the authorities will win the upcoming parliamentary and presidential elections, but their power will lose much of its legitimacy in the eyes of the most active part of the population. This could lead to the forceful demolition of the existing political structure. The report says that demand is growing for a third national political figure, an alternative to the incumbent president and prime minister. Surprisingly, it is not the opposition, but people close to power who offered this grim forecast. The Center for Strategic Research is basically the government’s expert council. It prepared Putin’s program for his first term in office, with its ambitious target to double GDP by 2010. Alas, this did not happen, and not just because of the global economic crisis. Now the Center’s experts are saying that there are also some structural flaws in the political hierarchy and that Russia would be better served by a coalition government. But while the report makes for an interesting read, it is unlikely such a scenario will come true. It is no secret that in Russia, the authorities’ approval ratings stand in direct proportion to the amount of financing available for pensions, social benefits and other rewards for loyalty. In this respect, the immediate future looks fine: Russia is expected to earn a record $350 billion in oil export revenues this year. According to the World Bank, Russia will have a deficit-free budget by as soon as next year, meaning that there are no real financial threats to the political hierarchy. The system’s structure is solid, but totally inflexible; it cannot be upgraded without breaking the entire structure. It is for this reason that all of the system’s key institutions shy away from an influx in new blood. There can be some rotation, but it only reflects minor changes inside the system. Today, the once dynamic and efficient vertical structure has become a static support for the existing alignment of forces. According to the presidential commission for forming and preparing managerial staff reserves, the government includes over 2,500 promising managers. At the same time, only 75 people were appointed to top positions out of the 1,000 reserve staff in 2009. At the local level, things are not much better. Despite 4,000 people on local reserve lists and over 31,000 on regional ones, only 2,000 appointments took place at all these levels, and these were mostly to minor positions, including 166 people appointed (elected) as the heads of local self-government bodies. That is to say, even those short-listed by the authorities have a slim chance at getting a promotion and all the other hopefuls have only negligible chances. Can this situation be changed? Not within the coming election cycle at least. First, there is a large number of voters who support United Russia without coercion, just by a force of habit. Secondly, there are no real opposition forces. According to a recent survey by the Levada Center, most voters are absolutely unaware of any Russian politicians except Vladimir Putin, Dmitry Medvedev and some other parliamentary figures like Gennady Zyuganov and Vladimir Zhirinovsky. For example, the high-profile human rights activist Ludmila Alexeyeva was totally unknown to 76 percent of respondents, while 68 percent have never heard of Ilya Yashin, a member of the Solidarnost opposition movement. They do, however, know Boris Nemtsov, and his party, if registered, could win some votes, though hardly at the expense of United Russia. The only suggestion CSR had that could possibly be viable is the thought of turning the tandem into a triumvirate in order to increase electoral support. In this respect, First Deputy Prime Minister Igor Shuvalov is seen by many as the most likely candidate. He could chair the Right Cause party and even become prime minister in 2012. Powerful information, financial and administrative support for this party, already with one foot in the grave, just might help. But Shuvalov, or any third figure, would enter the political hierarchy as an appointee, protégé or associate. No doubt the report’s authors are right to say that Russia needs change and reform, but historically, all effective reforms in Russia have come from above. For that to happen today, the hardened political system needs to return to normal. It is impossible to cover the political hierarchy with a concrete sarcophagus and protect it with wire, like another Fukushima, while building a civilized university campus nearby. This is full of the same political risks as the existence of the political hierarchy in its present form. This comment is abridged from the original.